Notes: I'm not absolutely certain of this ID. There are probably another 40 species of Eriogonum in AZ to check out yet. Flower clusters with no stems on almost bare stalks. A single stem from a leafy base divides about 6 - 8 inches above the ground and spreads into an inverted cone. No leaves on the stem after it divides. The plant is 2 - 3 ft. high, and about 18 in. across. 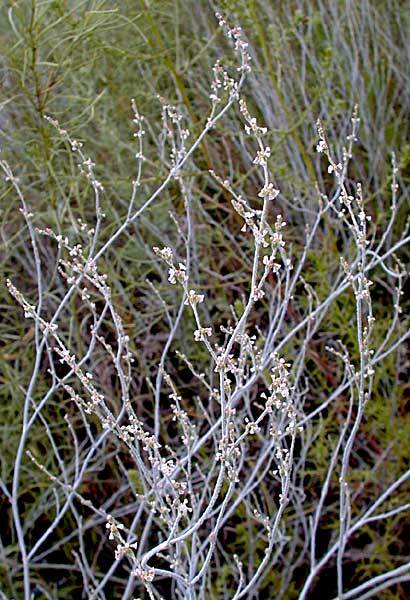 53 species of Eriogonum in Arizona. 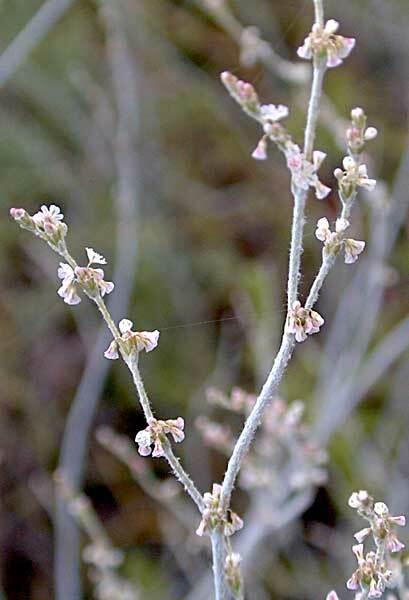 Abert's buckwheat plant profile on the USDA Plants server.